Nominations are being accepted for Community Improvement Awards in the following categories: New Construction, Preservation, Community Spirit, and Special Merit. 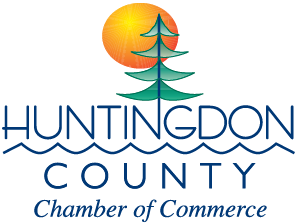 The Awards are sponsored by Kish Bank and are presented by the Huntingdon County Planning Commission and the Huntingdon County Chamber of Commerce at the March Planning Commission Dinner. The deadline to nominate is 5:000 p.m. January 7, 2019.
a. Enhances the attractiveness of Huntingdon County. b. Is compatible with the site area and environment. c. Shows creativity/innovation in design and use of materials. d. Enhances the quality of life, including job creation. e. Exhibits the principle of sustainability. The project must be located in Huntingdon County. The New Construction Category includes any type of new construction of buildings of all types. The Preservation Category includes the restoration, preservation and/or rehabilitation of buildings of all types to retain historic character. The Community Spirit Category includes the recognition of individuals and organizations that have made a significant contribution to Huntingdon County in the field of community development. A Special Merit Award may be made for projects, persons or groups that demonstrate outstanding achievement on their own merits. A project may be nominated by anyone, including the owner or an employee of the owner. A project may include multiple funding sources, including public and private. The project must be complete at the time of nomination. a. Address of project being nominated and contact person if possible. c. Photographs of the nominated project are desirable but not required. 6. Nominations are due no later than 4:00 PM on January 7, 2019. Nominations must state the person or project being nominated, a description of the eligible project or activity and the name and contact information of the person making the nomination. 7. Full applications are due no later than 4:00 PM on February 1, 2019. The full application form and photographs are required by this date. 8. Applications will be reviewed by a project review committee on February 14, 2019. PROJECT APPLICATIONS RECEIVED AFTER THE DUE DATE will NOT be CONSIDERED. Nomination materials become the property of the review committee and will not be returned. 9. Winners will be announced at the Huntingdon County Planning Commission Annual Meeting in March. 10. The decision of the judges is final. The judges may determine that no award will be given in certain categories if nominations are not worthy of an award.